But seriously, this is really, really flattering and I’m truly grateful for whoever voted to get me on that list and am so glad you’re enjoying the stuff I create for you. I’ve gleaned up all this beauty knowledge via working in the biz forever and it just feels wrong not to share, but it’s a real labour of love and having that acknowledged feels really, really good. I’m also in very good company and am proud to call a number of the ladies on the list my friends. 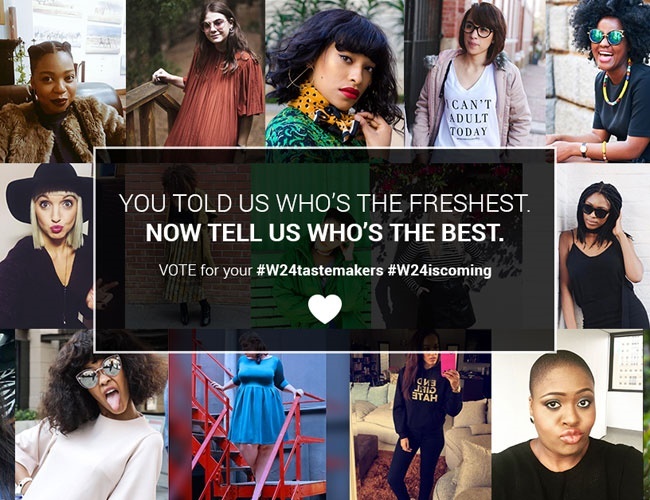 Women24 is now asking that people vote for their favourites and I do hope that if you’ve enjoyed reading my shizzle over the years that you’ll give me a quick click. You can actually vote for multiple people at a time and do so every day if you want to. To be honest, I don’t know how I feel about the every day thing. As much as I love my friends we’re all busy women and don’t have time or energy for something like that. Also, I’m not the kind of person to push on twitter with multiple daily ‘vote for me’ reminders. It just feels weird. Because of this I don’t think I’ll get much further in Women24s comp but I do want to let you know I’m thrilled to have gotten this far. It was such a lovely surprise that’s really made me feel appreciated. If you want to cast your vote, you can do so here. Did you catch me chatting about Halle Berry’s hair tattoo on Expresso? What awesome news Leigh. I love following you!!! Congrats Lovely Leigh! Hope you make it to top 24-will certainly vote for you. Voted and will keep voting for you, Leigh! You are always so honest and often recommend cheaper alternatives to great products, which help a great deal. Really appreciate you!